In case you don't follow Google or their announcements, Google will release their next generation Pixel devices as Pixel 2 and Pixel XL 2 next month. Today, Google has uploaded a new 'Data Transfer Tool' app to the Play Store, which is an system app for the Pixel 2. Android already has a migration tool built-in which lets you transfer some data and apps from an old Android device to a new one. 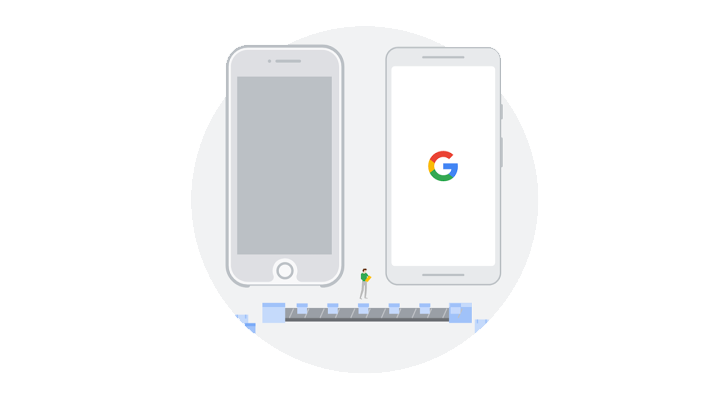 The first generation Pixel phones have a better version of that with the ability to transfer data from iPhone to Pixel with the included Type-C-to-Type-A adapter. 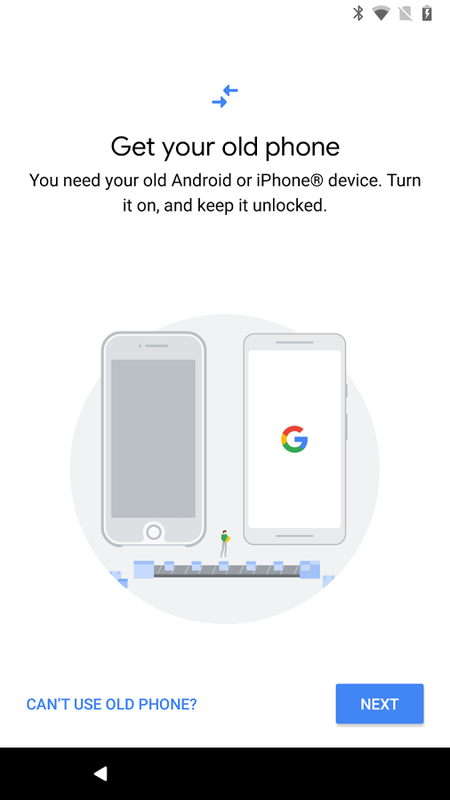 However, there is this one screenshot which appears to be the initial setup screen of the app which asks users to get their old Android or iOS devices, from which you can get the old data. The phone on the right seems to be a Pixel 2 XL which has a similar design like G6 with that rounded screen corners and relatively-small bezels. It's important to note that this is just an illustration, and the dimensions might not be completely accurate. The interesting part is, Google switched out the above screenshot with a new one which you can see below. This new image has a Nexus device running Android Nougat. We can't tell what this new app has for us because you can't install it on anything (probably locked to the Pixel 2), and the description simply says "This system app will be automatically installed on your phone. Please don't install this app." 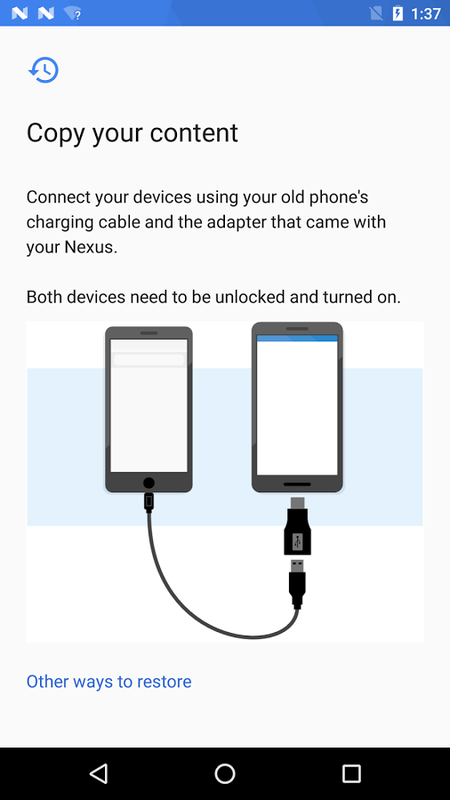 The changelog states "Updated usb migration for our great users," which is copy-pasted from the old app listing.